... some with a cultural twist, tbh these days, at Sirena Bay, you should expect the unexpected ! You couldn't find a more perfect setting to eat fish! It's right on the coast of Liopetri, making their well-earned name through the delicious freshness of the food they serve, and the friendly, professional manner in which they welcome their customers. 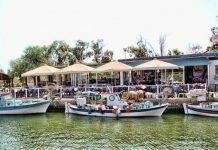 With over 50 years experience, the third generation Antonis and Margarita are following in the footsteps of their parents and grandfather Nicolas, who opened this delightful beach side location in Potamos so all the local fishermen could enjoy their days catch, and they still do. Let's start by saying this is a fish lovers haven! 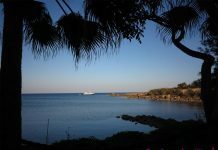 ... the setting, is on the coast, with mature trees, casting shadows over pristine lawns, with scattered sun loungers and Hawaii style thatched umbrellas, sweeping down to the tiny sandy bay. Here and there, little alcoves of places to hide, some with sofas and others with hammocks to chill to the max. 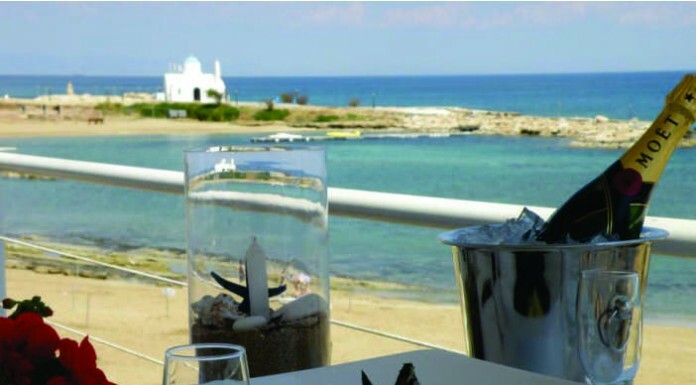 Off the restaurant, terraces with wooden decking overlooking a panoramic view of the med, and btw, this fish restaurant has been nominated for Time Out Fish Restaurants 2017 and I think they deserve it !"